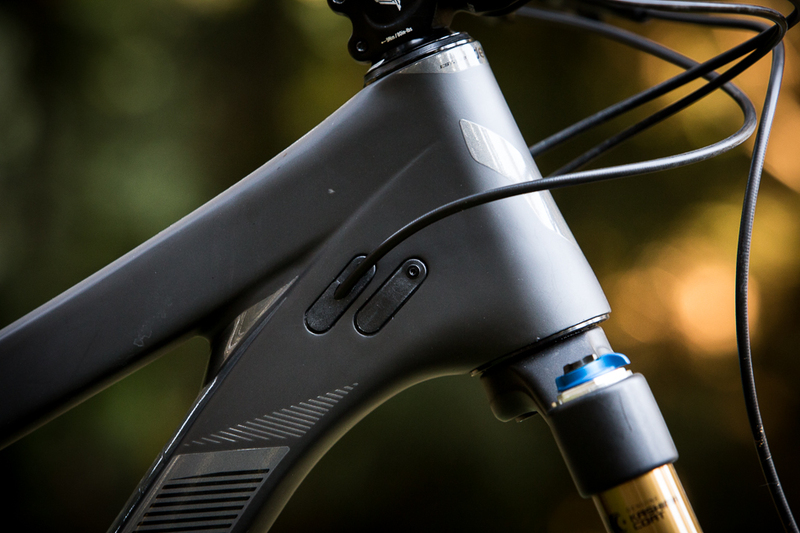 Last year, Devinci released a 110-millimeter-travel 27+ bike called the Hendrix. Since the plus category was just getting rolling way back in the 2016 model year, the Quebec-based company decided to only offer it in aluminum, with one spec option. We didn’t get around to testing a Hendrix, but it was a cool idea. Unlike many 27+ bikes out there that are basically converted 29er frames, it was designed from the ground up to be a plus bike. So, why am I talking about the Hendrix when this post is about the Marshall? Because the Marshall is the Hendrix (Marshall was Jimi’s middle name). Apparently someone had an issue with the model’s original naming. In addition to the new name, the model gets a brand-new carbon frame as well as a complete range of stock spec options. Not only that, but the Marshall, a bike that was designed specifically for 27+, will also be sold as a 29er. Which is actually a cool thing. You see, most bikes that convert to 27+ from 29 need a longer travel fork to correct the geometry. But putting more travel on a bike when going to a big tire with more travel–albeit undamped–is counter intuitive. When going from 29 to 27+, you want to reduce the fork travel, and vice versa, which is exactly what the Marshall does. So pick your poison: 27+ or 29. Either option will give you a bike that’s much more capable than its short rear travel number suggests. To see how the Mashall 29 will be offered, see the Django 29 build kits. Since the Marshall with 29-inch wheels is optimized with a 130-millimeter-travel fork, and has Boost 148 rear and 110 front axle spacing, Devinci uses the exact same built kits it offers for the Django 29. 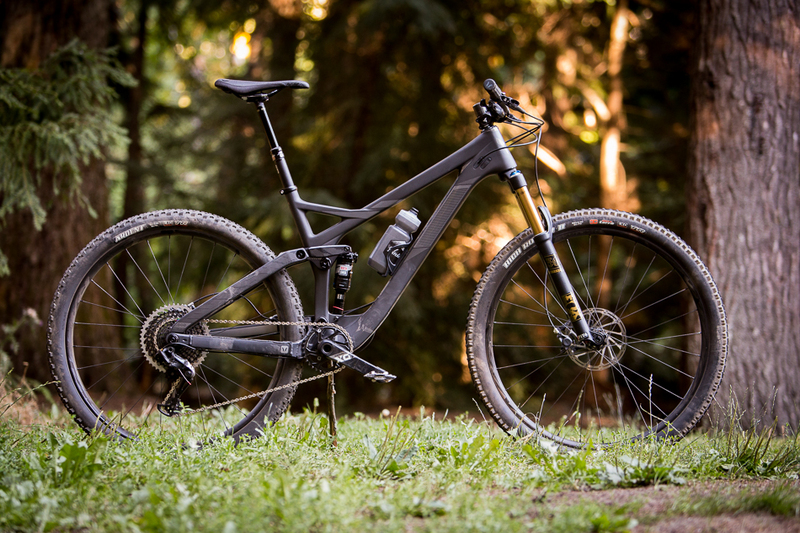 Four plus-size builds will be available–two carbon and two aluminum–with pricing ranging from $3,360 to $5,130. The Marshall will also be available as a frameset, retailing for $2,480 in carbon or $1,770 in aluminum. *These numbers reflect the Marshall’s geometry with 27.5-plus wheels. 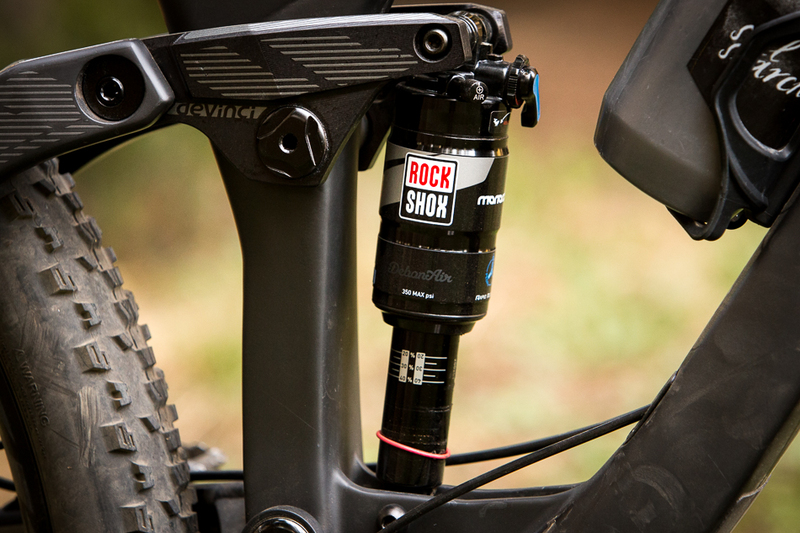 As a 29er with 130 millimeter fork, the head angle is a half degree slacker and bottom bracket height is 3 millimeters higher. Look for a complete review in the near future.